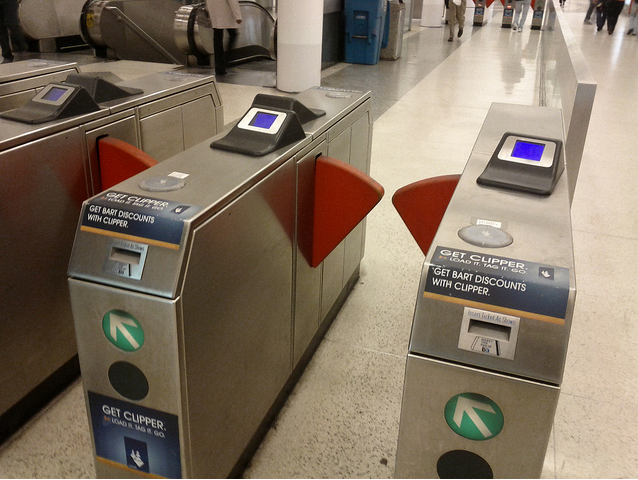 When You Forget Your Clipper Card: Is the Receipt Good Enough? Reader Nicole. ran into fare inspectors on the one day she forgot her Clipper card. But she had the receipt for her Muni monthly pass with her. Was that good enough? Unfortunately I don’t see receipts in SFMTA’s list of Proof of Payment, so if you are organized enough to have the receipt on you (god knows I’m not), make sure you have your Clipper card because you don’t want to end up with a fine. Thanks, Nicole, for the reminder! Uh. Or just pay the fare that day? Yep, that is the only foolproof method. It’s worth it in the end to either pay the fare just avoid all transit vehicles if you don’t have $2. You’ve just stumbled upon the tip if a scam my iceberg. Turns out the SFMTA refuses ALL protests. They don’t even bother to look at what you send. This is standard operating procedure in hopes that you just give up and pay the fine anyway instead of wasting your valuable time going down to Van Ness and stand in line for hours to protest. Even if you want to protest you STILL have to pay the fine first. Hi Jason, have this happened to you too (or someone you know)? I’m looking for other stories like Nicole’s to write an article about it. Can you please contact me at silvestroelisabetta at gmail dot com? Although I hate to see people evade fares, Fare Inspectors are not police and have no legal authority to detain you. You’re free to walk right by them. Sure they’ll protest. If they touch you, they’ve committed battery. any ideas how to suggest the transit cops check out the 28L and 28 on Park Presidio in the mornings (about 7:30)? I watch 1/3 of the back door boarders get on without tagging clipper each day…. and it’s not just kids, it’s also 30-something women! Hey I appreciate my recent story being posted, but my real question in all of this is how can an officer get away with lieing to my face like that? He straight-up told me “I still have to give you the citation, but send in your purchase receipt and clipper card number and they will not fine you.” I’m not going to pay this for fear I’ll never see that $103 again and I’m not going to pay the secondary hearing fee just to protest. I’ve been trying as many ways as I can to get someone at SFMTA to contact me and explain how a representative of their company can lie to customers like that. I can promise you I’ve never evaded a fare (how can I? I always buy the monthly pass and use it because it’s easy.) But I guess next time instead of being a nice complying citizen, I’ll have to tell the officer to take a hike! That is, there really shouldn’t be a next time because I don’t normally forget my clipper card. And yes, I will always have/will save my receipts! Seems to me that if 1) the pass was bought before the citation, 2) the card is registered to you, and 3) the card wasn’t being used by anyone else at the same time (all of which can be checked on the system), it should be evidence enough to dismiss the ticket. Obviously a receipt alone wouldn’t be enough, because one person could take the card while another takes the receipt. I’m not sure that refusing to pay will help get the ticket dismissed, though. So, how does the word of a Muni citation officer say otherwise? The officer said a valid receipt and card-number sent in with a citation will be enough to avoid a fine. We’re not all perfect so there should be a way to prove payment was made just in case. Fare inspectors are not always well trained (judging by the various ticketing problems we hear about), so this may have been misinformation. It’s not fair for those who have paid, but we think it’s ultimately best to avoid transit if you can’t cover your fare on a forgotten pass day. It certainly seems worth it until the system catches up. Give nothing to them. They have limited powers so don’t give away your rights since they can not legally detain you (i.e. hold you against your will). While I understand their point of issuing the citation despite have proof that you paid, afterall, I can pay for a monthly clipper but someone else is using it so I can 2 free rides but they are overly aggressive especially against the poor and homeless and they gang up on you especially at stops close to their SFMTA homebase on Market and Van Ness. I wanted to give everyone an update on this story. After emailing anyone I could at SFMTA about what happened to me, I received a call a couple months ago from a gentleman in MUNI Customer Services. He advised me the only reason for an Administrative Review is to check the basic facts of information, like if my name is correct, address or etc (which it was not correct anyway despite their best administrative efforts). The secondary review/hearing is where SFMTA will actually look at records, verify my claim and review my clipper’s history to make sure I hadn’t loaned it out or taken advantage of the system. I basically told him that’s not what I was told by the ticket checker and that the administrative review would see my receipt as valid and despite whatever he was going to tell me, I still refused to pay a single dime because even if I pay the fine ahead of time and the hearing fee, there’s no guarantee SFMTA will ever return that money to me when I end up proving I wasn’t in the wrong. I lectured him on how important it is to train your entire staff properly and not to lie to customers otherwise you’re going to lose their trust and they’ll stop being compliant because there’s no point if honest people are punished like this. I recommended he speak to his superiors about company restructuring because it seems like these administrative review staff are pointless in the whole process and if the ticketing staff chooses to lie to customers, they should take responsibility. He asked for copies of all the documentation I mailed in to SFMTA because he didn’t have it available to him to review (not surprised) so thankfully I was smart enough to have made copies of EVERYTHING before mailing it off with my citation. I emailed him my copies and a few days later he called and said my citation has been taken care of. Talk about being political about it but hey, guess what? TL;DR: The citation was dismissed! -Get the name of whoever you speak with and if possible, record the conversation. -Always make copies of everything and keep all your receipts. -Make sure you never hand anything over or let them take it away. Always keep your ID and clipper card in hand and if they would like to hold it to “see it”, too bad. -Don’t stop being honest and civil. If you are not in the wrong, you can prove it. -I honestly have never forgotten my clipper card once since this catastrophe, so yes please don’t forget your card at home! Hi Nicole I hope you see this! I was looking for stories like this because the same thing happened to me, the controller lied to my face and I even protested after paying the fine and they denied it sending me a letter that didn’t make sense at all. I’d like to look into this story and write an article about it. Could you email me at silvestroelisabetta (at) gmail (dot) com so I can use your story? I’m glad I was able to get a hold of you and help as much as I could last year. How is your article coming along? Can you link it here when it’s live? I’m sure everyone here would love to see it because it seems like a few people still experience the same kinds of issues and the reference would be a huge help to everyone. Hope this year has been treating you well, cheers! Thank you for sharing your story. A similar situation happened to my friend and I was wondering if you can share who are some of the people that you emailed at sfmta or maybe the gentleman that you spoke to on the phone. Much appreciated! Surprisingly the SFMTA feedback page is very responsive and that’s how I was able to get a hold of someone. I’ve used it a few times to do both complaints and compliments. Reach out using the forms on that page and they will connect you with someone who will listen. Quick note about sfmta’s feedback page: Please make sure you give compliments to your favorite drivers often so they get recognition for their hard work and SFMTA should hopefully recognize that these good drivers are prime examples of how to represent a company.